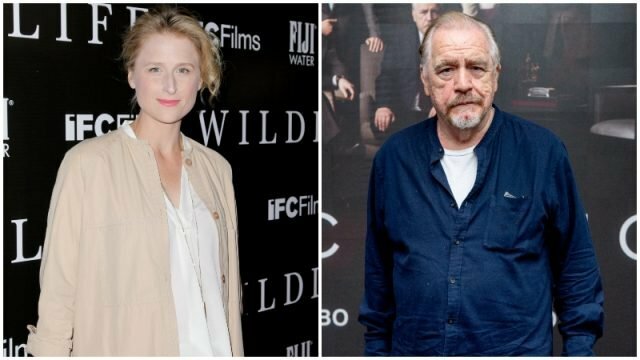 According to Deadline, Ricki and the Flash star Mamie Gummer and Emmy Award-winning actor Brian Cox have signed on to join in director William Brent Bell’s upcoming supernatural thriller Separation starring alongside Rupert Friend. In addition to Gummer and Cox, Madeline Brewer of The Handmaid’s Tale and The Haunting of the Hills‘ child actress Violet McGraw have also been tapped to star in the film. Separation is equally inspired by the combination of iconic family drama Kramer vs Kramer with contemporary supernatural thrillers like The Sixth Sense and Mama, the film explores the horrifying consequences of divorce like no film before. Friend and Gummer are set play the roles of Jeff and Maggie respectively. They are a newly separated couple battling for custody of their 7-year-old daughter which will be portrayed by McGraw. Meanwhile Brewer will play the couple’s longtime nanny with Cox set to play as Maggie’s overbearing father. The film is produced by Bell together with Yale Productions’ Jordan Yale Levine, Jordan Beckerman, Russ Posternak and Jesse Korman, and RainMaker’s Clay Pecorin and Russell Geyser. Executive producers are Seth Posternak and Dennis Rice. Yale Productions’ Jon Keeyes serves as a Co-Producer. One of today’s most accomplished, in-demand genre filmmakers, Bell is most known for his smash hit horror films The Boy, which was released by STX and grossed $65 million at the worldwide box office and The Devil Inside, released by Paramount with worldwide box office exceeding $100 million.